Mary Anne Balch Speigel is an experienced psychotherapist, advanced clinical hypnotherapist, and writer. She enjoys weaving the arts into her healing work by presenting Women’s Creativity Workshops. She hold a Bachelor of Arts degree in Psychology from Ohio University (1969) and a Master of Social Work degree from the University of Michigan (1973). 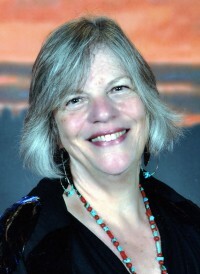 Mary Anne is a member of the Academy of Certified Social Workers, a Board Certified Diplomate of the National Association of Social Workers, and a Washington State Licensed Independent Clinical Social Worker. Along with their individual practices, Rob and Mary Anne conduct regular workshops for couples and ongoing groups for men and women.